This is accomplished online through the use of reviews and testimonials. There is no question that building an effective online presence involves generating positive reviews for your brand. In fact, 92% of consumers read online reviews, and 72% of buyers will only take action after reading a positive review! So there is really no question that you need positive customer reviews in order to win trust and close more business online. But how do you do it? speak to your personal reputation. This type of review may say something like, “I was so pleased when I heard Bob was opening a sign shop! Bob has been an active volunteer for Happy Hounds shelter for many years, and we can’t wait to spruce up the place with a brand new sign. Looking forward to working with you in this new endeavor!” or “Bob has been a close, personal friend for 25 years, and I can’t wait to become his first client when Bob’s Big Signs opens!”. This adds credibility to you as the business owner, and allows you to lend your personal reputation to your business. Ask Past Happy Customers. Choose your best customers and start with those first. These are the ones you have had the longest relationship with, or that you know you really delivered on their expectations. If you have less than 25 reviews for your business, it is extremely important for them to all be positive. By targeting happy customers proactively, you have a bit of a security net if someone does come along and leave a bad review. Create and Maintain a Follow-Up Process. While many people will post a negative review if they have a bad experience, most people who have a good experience will only leave a review when asked. This means that you have to ask, everyone and every time. The best way to maximize your results and minimize your labor is to setup an automated process. We can provide email templates and personalized links to assist with this process. Add a Review Link to Your Email Signature. Looking for a passive way to ask for a review? Consider adding a link to your business Google+ page in your email signature. Not only does this make it easy for them to leave a review at any time, if they ask while you are in the field, you can just tell them it is at the bottom of every email you send them so they can easily access it when they are ready. We can provide you with the correct link to use for your reviews. 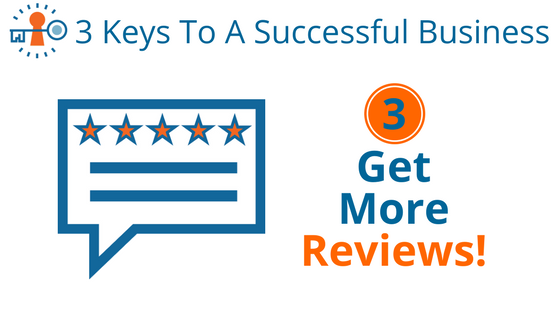 Utilize Existing Reviews. If you have a business with existing reviews, but are launching a new website, you don’t need have to start from scratch. 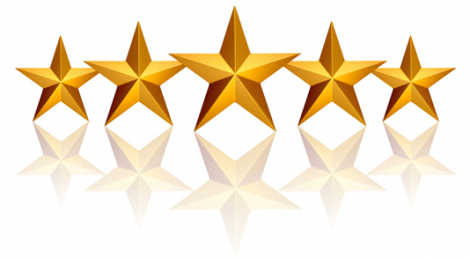 We can pull reviews left for you on other websites such as Yelp, Facebook, or Google and consolidate those on your website, as well as move over any reviews from your previous site. When Should I Ask for the Review? is right after you have delivered their product or completed their job. This is when they are the happiest with the product/service, and that will transfer to the review that they leave. There are many different factors that people look for when reading reviews, such as the quality of the product, the speed of delivery, and the customer service experience. If you ask for the review right away, their experience will still be top-of-mind, and they are more likely to write a review that hits on more of the important service factors. Where Should My Customers Post Reviews? While it seems like your website would be the best place to have a customer leave a review, it is actually more beneficial to your search rankings if they leave the review on a 3rd party site. There are many places like this where reviews can be left, such as Yelp or Facebook. 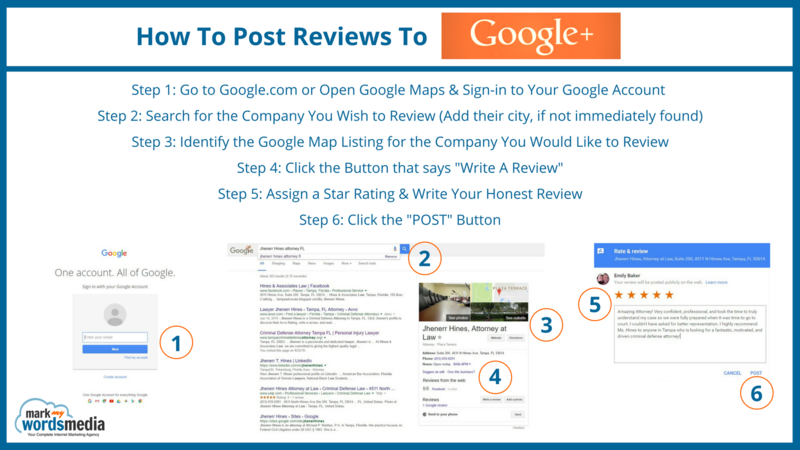 However, the best possible place that your customer can leave you a positive review is directly on Google, through your Google + or Maps Listing. Everyone uses Google for search. The more positive reviews you have on Google from Google users, the better your rankings and map listings will be. Google gives their own services (such as reviews) preference, and we can always pull your Google reviews into your site as well, allowing them to work doubly hard for you. There is an old saying that says you will never make 100% of the people happy 100% of time. Sometimes things go wrong, and you either mucked things up, or ended up taking a job from a perpetually negative person, and now you have to do damage control. It happens to every business. The key is in how you handle it. Reach out to the customer. Find out what wrong, and what you can do to make it right. Often, they just want to vent to someone, and the fact that you care enough to reach out to them is enough to fix any lingering bad feelings. Own any mistakes that you or your staff made, apologize, and see what you can do to make it right. Once it is taken care of, let them know that you would really appreciate it if they would update their review. Respond to the review. If the customer is unwilling to update their review, not responding, or you are already familiar with the particular situation, then the next best thing you can do is respond to the review. Apologize for the experience, explain any extraneous circumstances that led to the bad experience, and encourage them to contact you to resolve the situation if possible. Request the review be removed. If you have reason to believe the review was left by a competitor, contains foul language, or is not indicative of an actual customer experience, you can often request that it be removed by the platform on which it was posted. One benefit that a negative review has is that it provides legitimacy to your business and your positive reviews. Everyone knows that some people have bad reviews. As a result, 95% of consumers suspect censorship of reviews when they don’t see bad scores.This means that even if you have worked really hard to ensure that every single one of your customers has had an outstanding experience and they have all left you a positive review, there will still be some doubt regarding the validity of those reviews. A well-handled negative review that has a polite, apologetic, and helpful response can help to remove that doubt. You won’t get reviews unless you ask for them. Be responsive to reviews, thanking those who have left positive reviews, and offering assistance to those with negative experiences. The best place to get a review is on Google, because they have the most impact on your rankings. Don’t fake it. If you don’t have reviews, find them, don’t write them. Need Assistance Building Your Online Reputation? Contact Mark My Words Media today at (877) 721-8491 for assistance building or improving your reputation online. Part 1: 3 Keys to a Successful Business- Phone Handling- Script Included!